Rationale. Although some aspects of memory functions are known to be acutely impaired by Δ9-tetrahydrocannabinol (Δ9-THC; the main active constituent of marijuana), effects on other aspects of memory are not known and the time course of functional impairments is unclear. Objective. The present study aimed to detail the acute and residual cognitive effects of Δ9-THC in infrequent cannabis users. Methods. 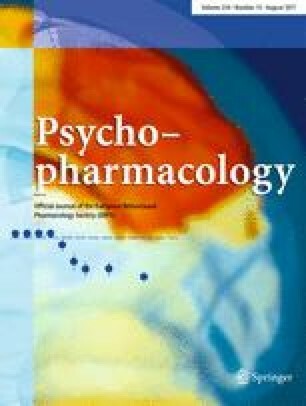 A balanced, double-blind cross-over design was used to compare the effects of 7.5 mg and 15 mg Δ9-THC with matched placebo in 15 male volunteers. Participants were assessed pre and 1, 2, 4, 6, 8, 24 and 48 h post-drug. Results. Δ9-THC 15 mg impaired performance on two explicit memory tasks at the time of peak plasma concentration (2 h post-drug). At the same time point, performance on an implicit memory task was preserved intact. The higher dose of Δ9-THC resulted in no learning whatsoever occurring over a three-trial selective reminding task at 2 h. Working memory was generally unaffected by Δ9-THC. In several tasks, Δ9-THC increased both speed and error rates, reflecting "riskier" speed-accuracy trade-offs. Subjective effects were also most marked at 2 h but often persisted longer, with participants rating themselves as "stoned" for 8 h. Participants experienced a strong drug effect, liked this effect and, until 4 h, wanted more oral Δ9-THC. No effects of Δ9-THC were found 24 or 48 h following ingestion indicating that the residual effects of oral Δ9-THC are minimal. Conclusions. These data demonstrate that oral Δ9-THC impairs episodic memory and learning in a dose-dependent manner whilst sparing perceptual priming and working memory.